For northeast Minneapolis resident Ilhan Omar, making sure her children get a “first class education in a supportive environment” is an important goal. Her two school age children, ten-year old Isra, and seven-year old Adnan, attend Pillsbury Elementary School in Minneapolis, and so far, Omar is confident that her children are getting a solid start to their school careers. 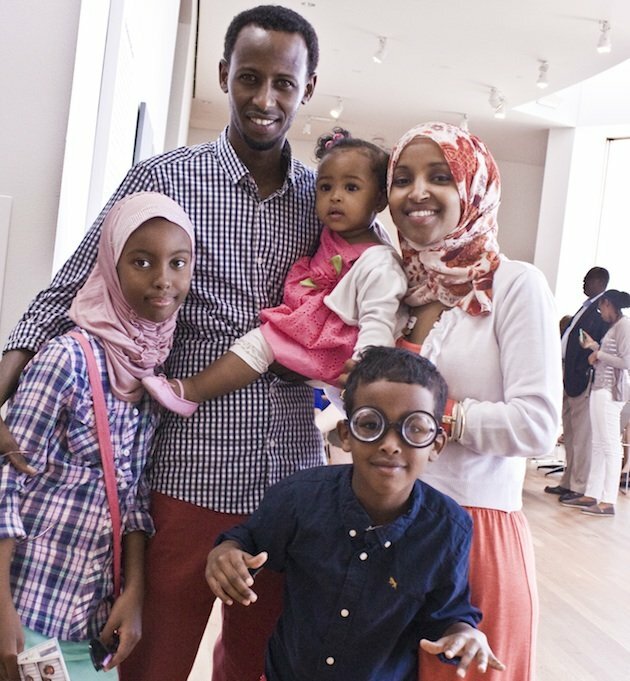 After having started their daughter, Isra, in kindergarten in Minneapolis, Omar and her husband, Ahmed Hirsi, moved to North Dakota so that Omar could finish her bachelor’s degree in political science. Upon moving back to Minneapolis, they enrolled Isra in Whittier International School in south Minneapolis because of its International Baccalaureate programming and global education focus. After a year at Whittier, though, the family decided to put their oldest at Pillsbury Elementary School because it is their neighborhood school, and Omar wanted her children to “go to school with their neighbors.” Also, the school’s strong focus on science and math was a draw for the family. At Pillsbury, Omar and her husband have been pleased with their children’s experiences thus far. One important example that stands out to Omar is the way that her children’s progress is being “tracked by more than just test scores.” Her son, Adnan, is in second grade, and Omar says that the students in his class write in a journal at the end of every school day about what they have done in class. Her son then brings this writing home, and Omar says, through this, she can “see progress in his thinking and writing without waiting for test scores” to tell her how he is doing. She finds this empowering as a parent, because she can help track what he is learning and where he might need extra support at home. Another aspect of Pillsbury that is working well for Omar’s family comes from seeing how her daughter Isra has been “encouraged to work at her own level.” Known as “differentiation,” this approach to the classroom allows students to move more at their own pace than at a set level, and, for Isra, who Omar describes as being “very advanced at math,” this has been essential. Last year, in fact, Isra’s fourth grade teacher had the girl participate in a higher level math class so that her needs were being met. From Omar’s perspective, this eliminated Isra’s boredom and feelings of agitation, and helped encourage Isra to work hard. Omar, who is from Somalia and, as a child, spent time in a refugee camp in Kenya, says she grew up with a “sense of being homeless.” In contrast, supporting her neighborhood schools feels like a way to provide her children with a sense of home and the kind of “shared experiences” she missed out on as a child. Omar did in fact graduate from northeast Minneapolis’ Edison High School, and she is looking forward to sending her own children there someday. This way, she says, they can “walk the same halls” she did, and therefore share an important childhood experience with not only their mother, but also their neighbors.